Samuel Candler Dobbs Professor Michele Benzi is among the 2018 Fellows inducted into the American Mathematical Society for "outstanding contributions to the creation, exposition, advancement, communication, and utilization of mathematics". 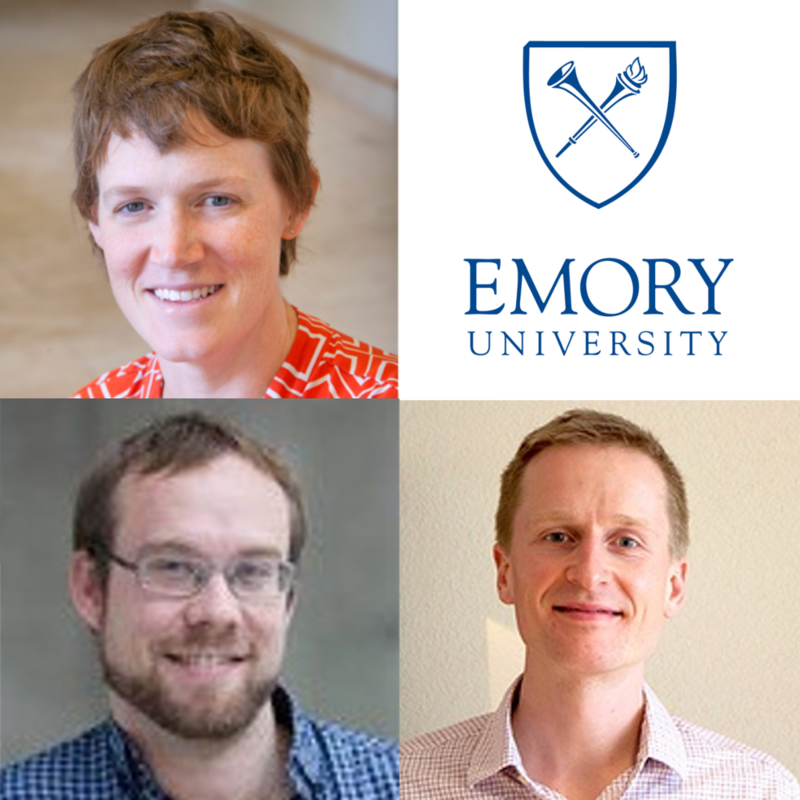 Emory MathCS is proud and honored that Michele joins previously inducted Fellows Raman Parimala and Ken Ono. More details are at http://www.ams.org/profession/ams-fellows/new-fellows. MathCS is hiring Postdoctoral Fellows! Several projects homed in the department of Mathematics and Computer Science are seeking postdoctoral research fellows in a variety of areas. Interdisciplinary postdocs are of special interest. For details please see the MathCS PostDoc Openings. The department of Mathematics and Computer Science has a tenure-track faculty position in Computational Mathematics and a Lecturer position in Computer Science to begin Fall 2018. Please contact chair@mathcs.emory.edu for general information. The deadline to apply for this position is January 15, 2018. 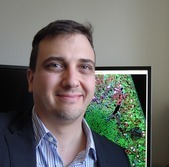 Professor Lee Cooper, faculty in the Computer Science and Informatics graduate program is a member of the Emory Molecular Interaction Center for Functional Genomics (MicFG). This center was recently selected by the National Cancer Institute (NCI) to participate in an elite national network called Cancer Target Discovery and Development (CTD2) that is focused on discovery of new cancer targets and precision cancer therapies. Read the full story at http://news.emory.edu/stories/2017/10/fu_cancer_genomics_network/index.html. The department of Mathematics and Computer Science is delighted to welcome Prof Dorian Arnold and Prof Juan Villeta-Garcia as our newest colleagues. Dorian and Juan were recruited as part of an Emory College-wide cluster initiative in the sciences -- for a full story please see http://news.emory.edu/stories/2017/09/er_faculty_cluster_hires/campus.html. Research by Duncan, Mertens and Ono in Quanta magazine. In a paper published today in Nature.com, Duncan, Mertens, and Ono find moonshine for the pariah ONan group. Unexpected connections are found involving the number theory of elliptic curves. Dr. Ono has been profiled in The University of Chicago Magazine. The article is entitled "Infinite Possibilities." You can find the article here. 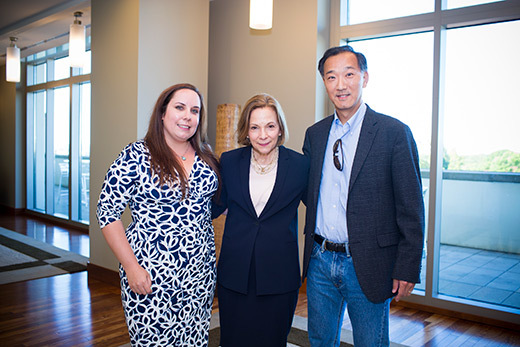 Dr. Ken Ono and 2017 PhD graduate student, Michelle Marie Giddens, are this years recipient of the Eleanor Main Graduate Mentor Award. The awards, established in 2015 by the Laney Graduate School to recognize graduate faculty and graduate students for mentoring excellence, are presented annually during Laney's commencement celebration. You can find the main article here. A joint work between Dr Joyce Ho, Jette Henderson (UT-Austin), Ryan Bridges (EPIC), Byron Wallace (Northeastern), and Dr Joydeep Ghosh (UT-Austin) receives the 2017 Distinguished Clinical Research Informatics Paper Award at the AMIA Joint Summits. The paper can be read here.